♦ There are a few bus stops in Daejeon, and Daejeon Government Complex is the third bus stop. ※ Please refer to the timetable for the limousine services from Incheon Int'l Airport to Daejeon. * The fare can be changed according to the circumstance. By Train (KTX) from Seoul station to Daejeon Station: You can book a ticket by yourself via the website of KORAIL. 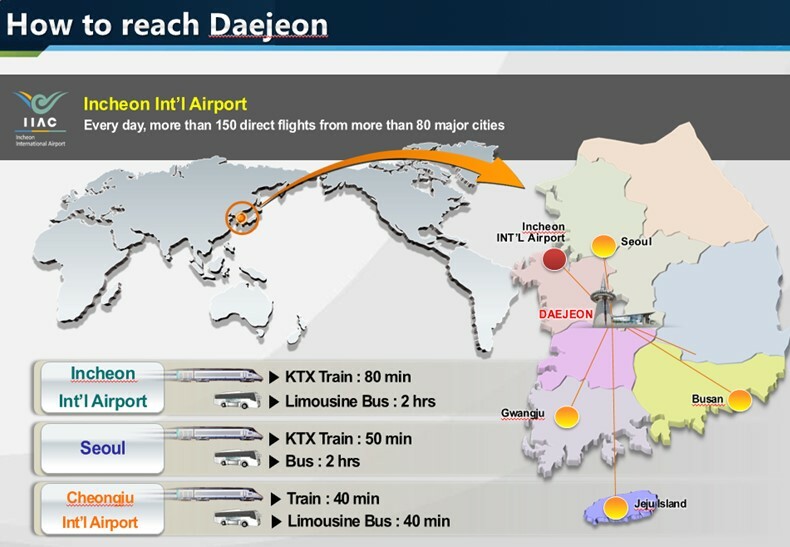 KTX from Incheon Airport directly to Daejeon may not be so frequent.